Today Intel has launched its first client SSDs for PCs and workstations built with Optane technology. 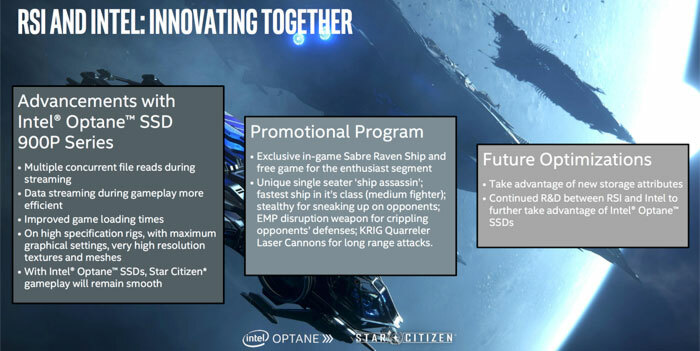 The new Intel Optane SSD 900P Series were announced at CitizenCon, a Star Citizen community gathering in Frankfurt, Germany. At the event Intel promised these 280GB and 480GB drives can help deliver “Blazing-Fast Gaming” and performance “up to 4x faster than competitive NAND-based SSDs”. People use their desktop PCs for many diverse tasks and of course gaming is just one of the activities that Intel thinks can benefit greatly from Optane storage. Software developers, 3D rendering, complex simulators and many other workloads will benefit from the “incredibly low latency and best-in-class random read and write performance at low queue depths,” (and up to 22x better endurance) delivered by this storage technology. 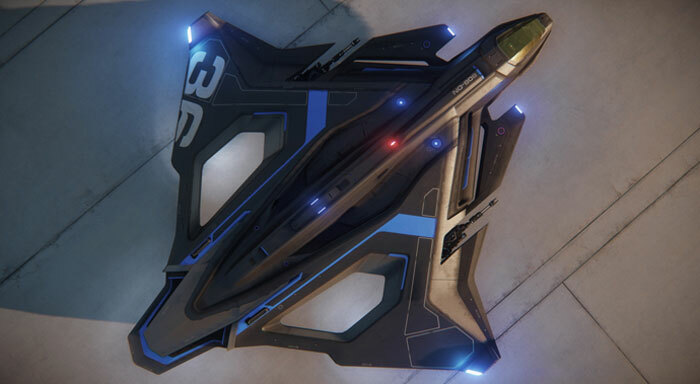 Tying in with the games and game developer focussed event in Frankfurt, Intel announced a promotion where an exclusive Star Citizen ship, the Sabre Raven (pictured below), will come with all Intel Optane SSD 900P Series purchases for a limited time. On its blog post Intel hasn’t shared pricing. However a number of sites have day one reviews and PCPerspective, for example, states that the street price of the Optane SSD 900P Series 280GB and 480GB drives are $389 and $599 respectively. Pricing per GB is thus much closer to NAND than DRAM. Warranties cover five years and the drives offer great endurance (8,760 TBW for 480GB and 5,110 TBW for 280GB). “You can fill these drives from empty to full, 10 times each day, 365 days a year, for 5 years,” while staying within warranty limits, notes PCPer. These lightning fast nvme drives offer virtually nothing for gaming as there just is no difference over normal sata ssds in real world tests. And not everyone is like you, not everyone wants these for gaming. Well considering intel said right there in the article they think it will benefit gamers, his comment is perfectly relevent and helpful to the discussion, unlike yours. 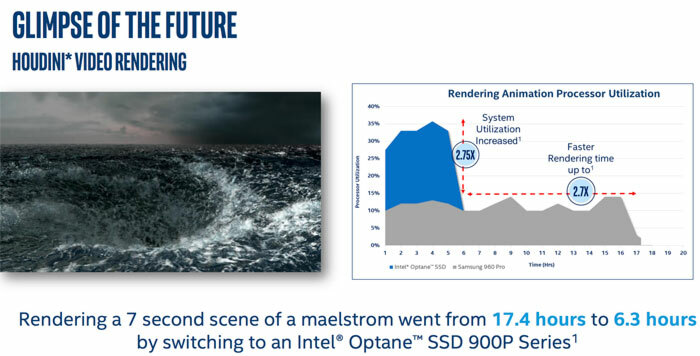 Um… call me a cynic but I work in 3D and while changing to a faster drive will make a difference in overall performance I question the 11 hour reduction just by changing to the Optane over an already relatively fast SSD… I'm guessing there's some ‘special sauce’ at play there. I'd also have more concern with a games coding if it can't play smooth on a normal ssd….so intel saying Star citizen gameplay will stay smooth to me says that SC is poorly written. I think this is an exciting technology but in 3-5 years when it's cost competitive with SSDs. I would have loved to use optane + HDD but I was on Z170 and now I'm on Ryzen so … no chance. These larger devices will have various use cases but I hope they can get them mainstream quite soon.